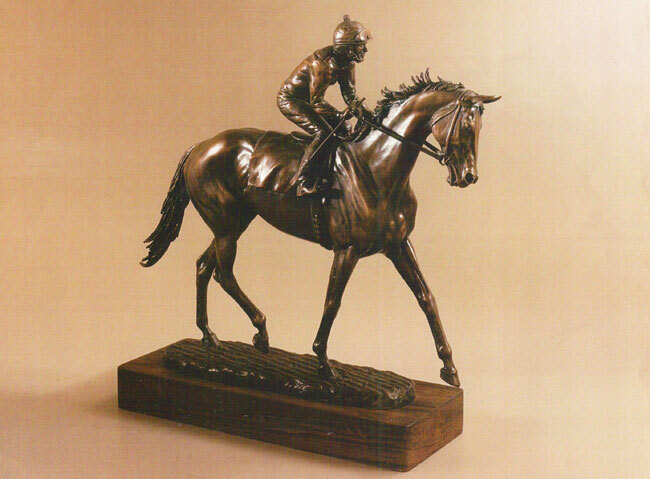 The Winner was an instant success and one Jim's early racehorse bronzes. This piece shows the jockey cooling his horse after the race just prior to going to the winners circle. 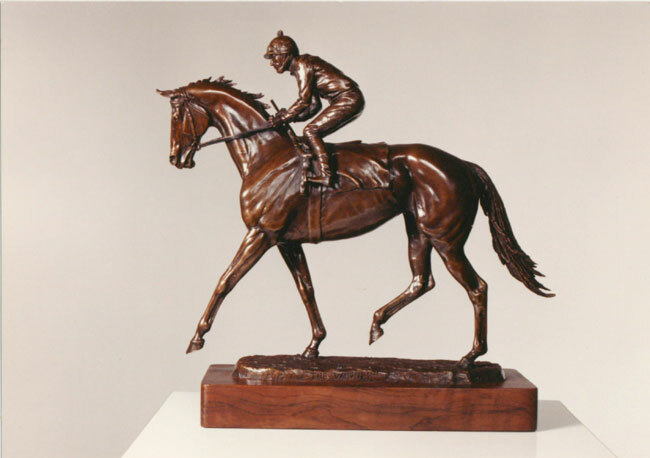 The power of the horse is very prevalent in this piece with the Jockey using his entire body weight to hold the horse back for a short cooling off period.